The restriction on opening of more than one account during a calendar month under the Senior Citizens Savings Scheme has been removed with effect from 24th May, 2007. All categories of pensioners have been allowed to open and maintain ‘Pension Account’ under Post Office Savings Account Rules, with effect from 11th July, 2007. The penalty on pre-mature withdrawal of deposits under the Post Office Monthly Income Account (POMIA) scheme has been rationalized from 3.5% to 2% on withdrawal on or before expiry of three years and 1% on withdrawal after expiry of three years. The maximum deposit ceilings of Rs.3.00 lakh and Rs.6.00 lakh under the Post Office Monthly Income Account (POMIA) Scheme has been raised to Rs. 4.50 lakh and Rs.9.00 lakh in respect of single and joint accounts respectively. Bonus at the rate of 5% on the deposits made under Post Office Monthly Income Account (POMIA) Scheme on or after 8th December 2007 upon the maturity of the deposit has been reintroduced. The benefit of Section 8OC of the Income Tax Act, 1961 has been extended to the investments made under 5-year Post Office Time Deposits Account and Senior Citizens Savings Scheme, with effect from 01.04.2007. Post Office Savings Account 3.5% per annum on individual/ joint accounts. Minimum INR 20/- for opening. Maximum balance of INR 1,00,000/- for an individual account. INR 2,00,000/- for joint account. • Account can be opened by cash only. • Cheque facility available if an account is opened with Rs.500/- and for this minimum balance of Rs.500/-in an account is to be maintained. • Cheque facility can be taken in an existing account also. • Interest earned is Tax Free up to Rs.3500/- per year. • Nomination facility is available at the time of opening and also after opening of account. • Account can be transferred from one post office to another. • One account can be opened in one post office subject to balance in all accounts should not exceed limit of Rs.1 Lakh and 2 Lakh in single/joint account. • Account can be opened in the name of minor and a minor of 10 years and above age can open and operate the account. • Joint account can be opened by two or three adults. • At least one transaction of deposit or withdrawal in three financial years is necessary to keep the account active. • Single account can be converted into Joint and Vice Versa. • Minor after attaining majority has to apply for conversion of the account in his name. 5-Year Post Office Recurring Deposit Account On maturity INR 10/- account fetches INR 728.90/-. Can be continued for another 5 years on year to year basis. Minimum INR 10/- per month or any amount in multiples of INR 5/-. No maximum limit. • Account can be opened by cash/cheque and in case of cheque, the date of deposit shall be date of presentation of cheque. • Any number of accounts can be opened in any post office. • Joint account can be opened by two adults. • If monthly deposit is not made up to the last working day, a default fee is charged. After 4 regular defaults, the account becomes discontinued and can be revived in two months but if the same is not revived within this period, no further deposit can be made. • There is rebate on advance deposit of at least 6 installments. • One withdrawal upto 50% of the balance allowed after one year. • Full maturity value allowed on R.D. Accounts restricted to that of INR. 50/- denomination in case of death of depositor subject to fulfillment of certain conditions. Post Office Time Deposit Account Interest payable annually but calculated quarterly. 5yr.A/c 7.50% Minimum INR 200/- and in multiple thereof. No maximum limit. • Account may be opened by individual. • Account can be opened by cash/cheque and in case of cheque the date of realization of cheque in Govt. account shall be date of opening of account. • 2, 3 & 5 year account can be closed after 1 year at discount. Account can also be closed after six months but before one year without interest. • The investment under 5 years TD qualifies for the benefit of Section 80C of the Income Tax Act, 1961 from 1.4.2007. Post Office Monthly Income Account 8% per annum payable i.e. INR 80/- will be paid every month on a deposit of INR 12000/-. In multiples of INR 1500/- Maximum INR 4.5 lakhs in single account and INR 9 lakhs in joint account. • Account may be opened by individual. • Any number of accounts can be opened in any post office subject to maximum investment limit by adding balance in all accounts. • All joint account holders have equal share in each joint account. • Maturity period is 6 years. • Interest can be drawn through auto credit into savings account standing at same post office, through PDCs or ECS. • A bonus of 5% on principal amount is admissible on maturity in respect of MIS accounts opened on or after 8.12.07. Senior Citizens Savings SchemeAccount 9% per annum, payable from the date of deposit to 31st March/30th June/30th Sept & 31st December in the first instance & thereafter, interest shall be payable on 31st March, 30th June, 30th Sept and 31st December. There shall be only one deposit in the account in multiple of INR.1000/- maximum not exceeding rupees fifteen lakh. • An individual of the Age of 60 years or more may open the account. • An individual of the age of 55 years or more but less than 60 years who has retired on superannuation or under VRS can also open account subject to the condition that the account is opened within one month of receipt of retirement benefits and amount should not exceed the amount of retirement benefits. • Maturity period is 5 years. • A depositor may operate more than one account in individual capacity or jointly with spouse (husband/wife). • Account can be opened by cash for the amount below Rs. 1 lakh and for Rs. 1 Lakh and above by cheque only. • In case of cheque, the date of realization of cheque in Govt. account shall be date of opening of account. • Joint account can be opened with spouse only and first depositor in Joint account is the investor. • Interest can be drawn through auto credit into savings account standing at same post office, through PDCs or Money Order. • Premature closure is allowed after one year on deduction of 1.5% interest & after 2 years 1% interest (Discount means deduction from the deposit.). • After maturity, the account can be extended for further three years within one year of the maturity by giving application in prescribed format. In such cases, account can be closed at any time after expiry of one year of extension without any deduction. 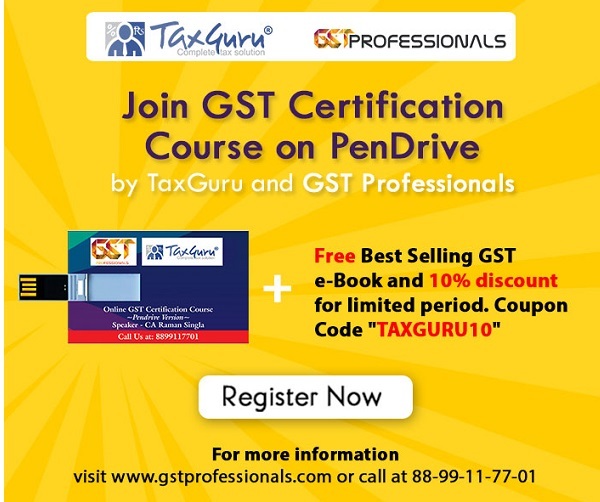 • TDS is deducted at source on interest if the interest amount is more than INR 10,000/- p.a. • Investment under this scheme qualify for the benefit of Section 80C of the Income Tax Act, 1961 from 1.4.2007. 15 year Public Provident Fund Account 8% per annum (compounded yearly). Minimum INR. 500/- Maximum INR. 70,000/- in a financial year. Deposits can be made in lumpsum or in 12 installments. • An individual can open account with Rs.5/- but has to deposit minimum of Rs.500/- and maximum Rs.70,000/- in a financial year. • Joint account cannot be opened. • Account can be opened by cash/cheque and In case of cheque, the date of realization of cheque in Govt. account shall be date of opening of account. • Nomination facility is available at the time of opening and also after opening of account. Account can be transferred from one post office to another. • The subscriber can open another account in the name of minors but subject to maximum investment limit by adding balance in all accounts. • Maturity period is 15 years but the same can be extended within one year of maturity for further 5 years and so on. • Maturity value can be retained without extension and without further deposits also. • Premature closure is not allowed before 15 years. • Deposits qualify for deduction from income under Sec. 80C of IT Act. • Interest is completely tax-free. • Withdrawal is permissible every year from 7th financial year. • Loan facility available from 3rd Financial year. • No attachment under court decree order. KisanVikas Patra Money doubles in 8 years & 7 months. Facility for premature encashment. Rate of interest 8.4% (compounded yearly) No limit on investment. Available in denominations of INR. 100/-, INR. 500/-, INR. 1000/-, INR. 5000/-, INR. 10,000/-, in all Post Offices and INR. 50,000/- in all Head Post Offices. • A single holder type certificate may be issued to an adult for himself or on behalf of a minor or to a minor. It can also be purchased jointly by two adults. • There is no Tax rebate on investment in KVP. National Savings Certificate (VIII issue) 8% Interest compounded six monthly but payable at maturity. INR. 100/- grows to INR 160.10 after 6 years. Minimum INR. 100/- No maximum limit available in denominations of INR. 100/-, 500/-, 1000/-, 5000/- & INR. 10,000/-. • A single holder type certificate can be purchased by an adult for himself or on behalf of a minor or to a minor. • Deposits quality for tax rebate under Sec. 80C of IT Act. • The interest accruing annually but deemed to be reinvested will also qualify for deduction under Section 80C of IT Act. another thing is for Sr. Citizin mainly who is retiring, there was a scheme from RBI of Gov. Bonds, whose interest is not taxable, is that scheme is still available or not? To the best of my knowledge,tax-free Bonds from RBI have since been dis-continued. PPF is the lone tax-free scheme available today.